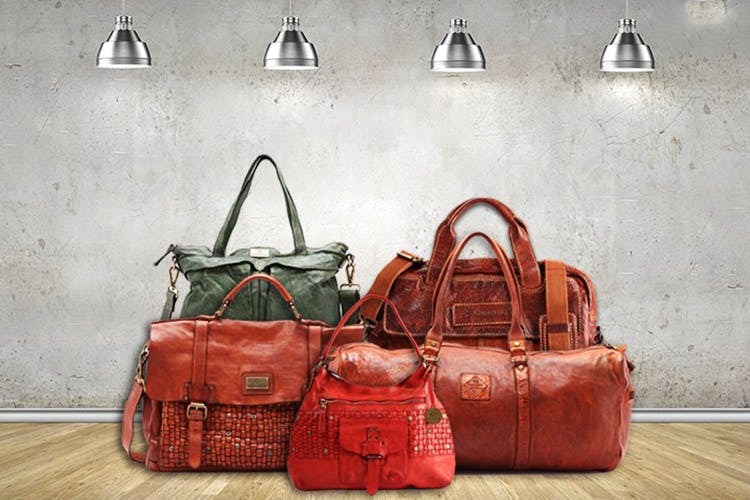 The rustic look of vintage bags will never go out of fashion. We found this awesome place called Kompanero which designs vintage leather bags according to modern needs and gives them away at great prices. At Kompanero, you will find wallets, messenger bags, travel bags, sling bags and even backpacks made out of leather and with the designs reflecting a vintage touch. From the old-style buckles to the beautiful unisex wallets, this store in MGF Metropolitan Mall is the place you should go to if you’re looking for bags and wallets that will last you for a long time. What’s more? Their wallets start at just INR 1, 000 and bags begin at INR 2,000! For such classy stuff that’s made out of leather and will last you for a good while, this seems to be the best deal around. If you’ve been looking for a good quality bag that will cost you very little but last a lifetime, Kompanero is the place you should go to.